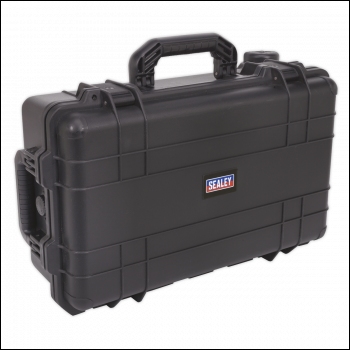 High impact injection moulded water resistant cases for the safe storage of technician's instruments and/or equipment. 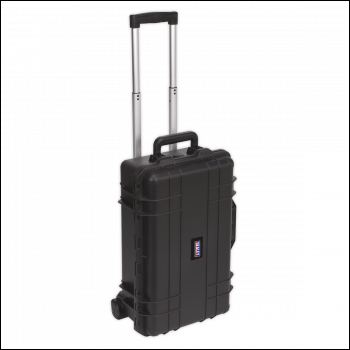 Heavy-duty design with extra protection surrounding the hinges and easy-open latches. Neoprene seal around the inside of the lid ensures that the cases are completely water resistant and features a pressure equalising valve. Features a comfortable folding handle and twin padlock points. 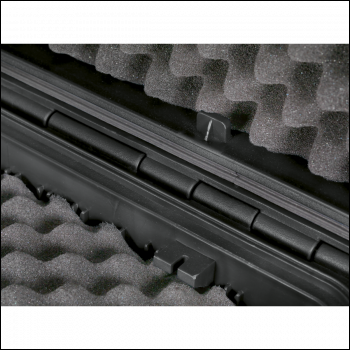 Two pieces of wave foam and two perforated foam inlays allow the user to create a secure and customised fit for contents. Model No's AP615 & AP615Y feature a comfortable telescopic push button handle for use with two 55mm rubberised wheels. IP67 Rated. 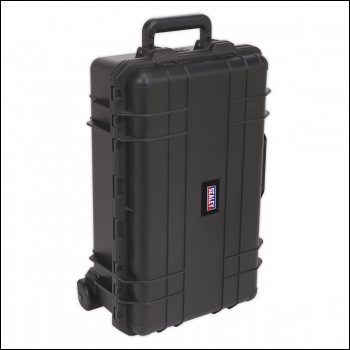 High impact injection moulded water resistant case for the safe storage of technician's instruments and/or equipment. Heavy-duty design with extra protection surrounding the hinges, easy-open latches and twin padlock points. 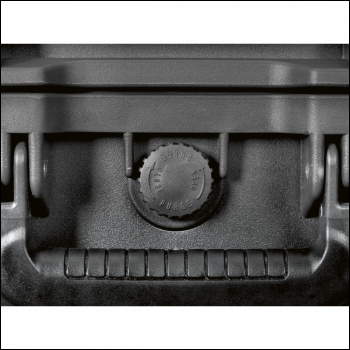 Neoprene seal around the inside of the lid ensures that the case is completely water resistant and features a pressure equalising valve. Features a comfortable telescopic push button handle for use with the two 55mm rubberised wheels plus two comfort grip carry handles, one on the top and side. Two pieces of wave foam and two perforated foam inlays allow the user to create a secure and customised fit for the contents. Size (W x D x H): 530 x 355 x 225mm.